Women's Original Tall Rain Boots is rated 4.5 out of 5 by 609. Las botas de agua altas Original se reinventan con un exclusivo estampado de camuflaje que cuenta con la icónica silueta de Mary Poppins. Presentadas por primera vez en 1956, las botas altas Original son completamente impermeables y están confeccionadas a mano a partir de 28 piezas para lograr un ajuste y una comodidad excepcionales. Rated 5 out of 5 by Bree27 from Love everything about them! I love everything about them especially the color! However, they run large. I typically wear a 9, had to get an 8 instead (I also have a narrow foot) they fit perfectly now. Rated 5 out of 5 by Ashtastic456789 from Love the color Had to replace my old Hunters and was a little sad about it, but then I got these in the mail and I’m obsessed. I’m usually a size 7 and I sized down to size 6 like I usually see other reviewers recommending, and they fit great. Rated 5 out of 5 by Stephanie123 from Great gift I bought these last month as a gift for my daughter. She absolutely loves them! Rated 5 out of 5 by Karen Coleen from Gorgeous My first Hunter boots in a gorgeous color (selected by my 4 yr old but loved by all). I've worn after snow, brightening up dark outfits, in rain and sleet. I love the traditional version in this modern color. I walk miles each day - so comfortable, like an old (but very brilliant & vivacious) friend. Rated 5 out of 5 by Mia Lewis from You should buy this boot! I love this boot! I bought it in Light Blue, and I’ve gotten multiple comments on it. It’s a nice matted color, a reasonable price, and will look great on you while keeping your feet warm! 10/10 would recommend this hunter boot. Rated 3 out of 5 by Maxie Max from What’s up with the calf now I had a size 6 pair that I loved to wear with socks. They cracked st the heel and let water in after 3 years. So I bought a size 7 to allow room for even thicker socks. Crazy, I have like no calf and these are so tight. They rub with just a few steps. I don’t understand how a size larger can be so much tighter around the calf, this was a style change for the worst. Rated 5 out of 5 by MamaC from Fun boots! I bought a pair for myself and for my daughter! 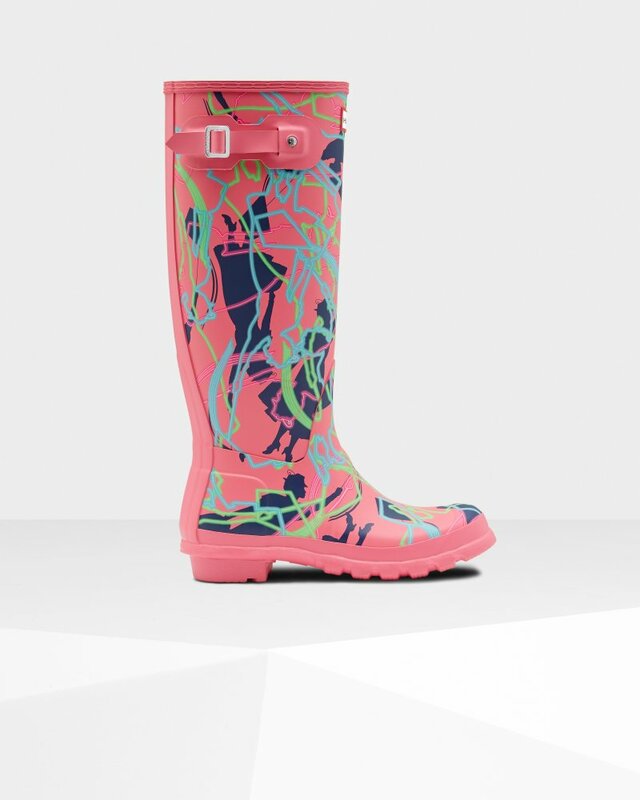 She has to walk to classes in the rain and these are perfect to keep her feet dry. She loves them. Rated 3 out of 5 by Mandi from Too tight Too tight around my calf so I sent them back. Kinda disappointed.